Returning after a year long absence, Pixar hit a home run with Inside Out, an enormously insightful and entertaining animation chock full of heart, humour and verve. Riley finds her life turned upside down when she moves to San Fransisco. Her emotions – Joy, Sadness, Anger, Fear and Disgust – do their best to see her through, which is easier said than done. Developed by co-directors Pete Doctor and Ronaldo Del Carmen, Inside Out takes a funny and absorbing look inside the mind. The uncomplicated narrative is turned into an all-out adventure as Joy and Sadness (voiced spiritedly by Amy Poehler and Phyllis Smith respectively), sucked out of the emotion control room, work out a way back to Riley before it’s too late through abstract thoughts and aboard her train of thought. It’s a colourful and potent film, in which real themes are addressed in an honest, yet no less accessible fashion. 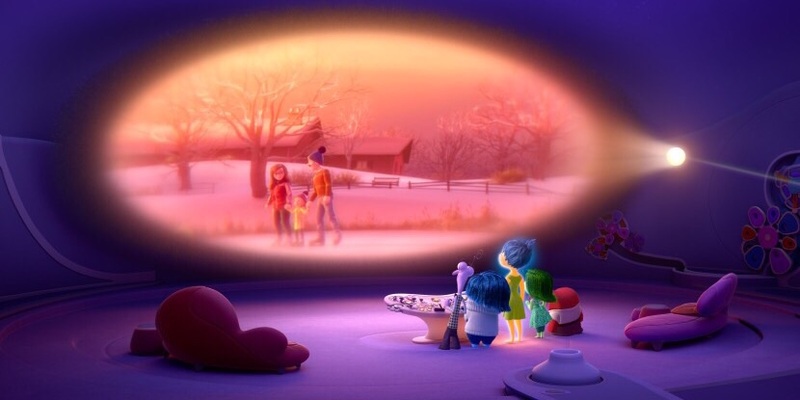 Inside Out is constantly and breathtakingly impressive (the attention to detail is out-of-this-world) – an emotional roller coaster of highs and lows expertly executed.